An unintentional electric path between a source of current and a grounded surface is referred to as a “ground-fault.” Ground faults ground-fault. Ground faults occur when current is leaking somewhere, in effect, electricity is escaping to the ground. How it leaks is very important. If your body provides a path to the ground for this leakage, you could be injured, burned, severely shocked, or electrocuted. – Two children, ages five and six, were electrocuted in Texas when a plugged-in hair dryer fell into the tub in which they were bathing. – A three-year-old Kansas girl was electrocuted when she touched a faulty countertop. In the home’s wiring system, the GFCI constantly monitors electricity flowing in a circuit, to sense any loss of current. If the current flowing through the circuit differs by a small amount from that returning, the GFCI quickly switches off power to that circuit. The GFCI interrupts power faster than a blink of an eye to prevent a lethal dose of electricity. You may receive a painful shock, but you should not be electrocuted or receive a serious shock injury. Here’s how it may work in your house.. Suppose a bare wire inside an appliance touches the metal case. The case is then charged with electricity. If you touch the appliance with one hand while the other hand is touching a grounded metal object, like a water faucet, you will receive a shock. If the appliance is plugged into an outlet protected by a GFCI, the power will be shut off before a fatal shock would occur. This type of GFCI is used in place of the standard duplex receptacle found throughout the house It fits into the standard outlet box and protects you against “ground faults’ whenever an electrical product is plugged into the outlet Most receptacle-type GFCls can be installed so that they also protect other electri-cal outlets further “down stream” in the branch circuit. In homes equipped with circuit breakers rather than fuses, a circuit breaker GFCI may be installed in a panel box to give protection to selected circuits The circuit breaker GFCI serves a dual purpose – not only will it shut off electricity in the event of a “ground-fault,” but it will also trip when a short circuit or an ov.er-load occurs Protection covers the wiring and each outlet, lighting fixture, heater, etc served by the branch circuit protected by the GFCI in the panel box. To test the receptacle GFCI, first plug a nightlight or lamp into the outlet. The light should be on. Then, press the “TEST” button on the GFCI. The GFCI’s “RESET” button should pop out, and the light should go out. If the “RESET” button pops out but the light does not go out, the GFCI has been improperly wired. Contact an electrician to correct. Note that new generations of GFCI devices are required to terminate power immediately in the event of mis-wiring, and cannot be reset until corrected. If the GFCI is functioning properly, and the lamp goes out, press the “RESET” button to restore power to the outlet. If power does not restore, the device may have failed or a fault is still present. 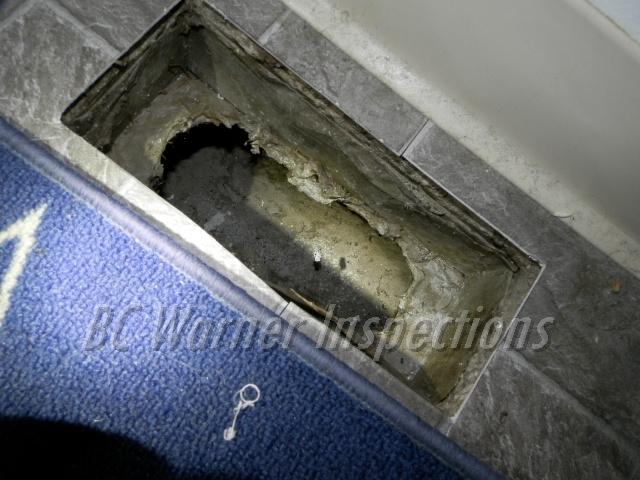 Further investigation or replacement should be performed. Contact an electrician to correct. Ground Fault Circuit Interrupters (GFCI) are the outlets that typically have black and red test buttons on them. GFCI outlets are intended to shut down the electricity to that outlet and other protected outlets when a shock hazard is detected in the electrical system. These safety outlets should be present near all sources of water and near metal-encased appliances that do not have electric motors (such as a cook top, oven, coffee maker, toaster, etc.). GFCI-protected outlets are outlets that are “downstream” of GFCI outlets, meaning that they are on the same circuit as a GFCI outlet and being “monitored” by that GFCI. 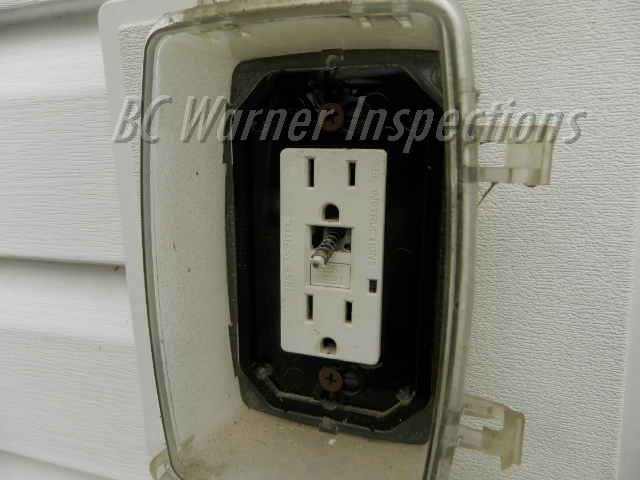 If there is no electricity to a protected outlet, the GFCI outlet at a separate location might have tripped and disconnected electricity to the circuit. Typical areas where you might find GFCI or GFCI-protected outlets include garage, laundry, kitchen, bathrooms, and exterior locations. Usually the kitchen GFCI outlet will control any other outlets in the kitchen (sometimes more than one GFCI outlet is present in the kitchen). Sometimes all the bathroom outlets are placed on the same circuit, with only one GFCI outlet protecting the outlets in all the bathrooms. Occasionally a GFCI outlet in the garage will protect outlets in various bathrooms. Such garage installations can be inconvenient, particularly in multi-story buildings. How does a GFCI outlet operate? Picture a little electrician living in the GFCI. He watches the electricity come in over one shoulder and go out over the other shoulder. If there’s no difference, he just sits there. If a difference is created, (you drop your shaver or hair dryer into the tub or sink), he immediately shuts down the electricity attempting to keep you from being shocked. He is very sensitive and can detect the slightest difference. The problem with this little electrician is that he likes fishing. One of these days, he is going to get up and go fishing. When he does, he isn’t coming back. The only way you’re going to know if he is still in there is to test the outlet or breaker every 30 to 45 days. 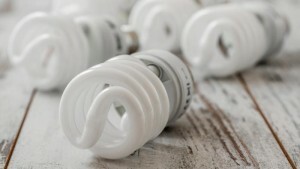 To test the GFCI outlet, first plug a nightlight or lamp into the outlet. Turn the light on, and then press the “TEST” button on the GFCI outlet. The GFCI outlet’s “RESET” button should pop out, and the light should go out. If the GFCI outlet is functioning properly, meaning that the light does go out, press the “RESET” button to restore power to the outlet. If the “RESET” button pops out but the light does not go out, either the GFCI outlet is not working properly or it is incorrectly wired. 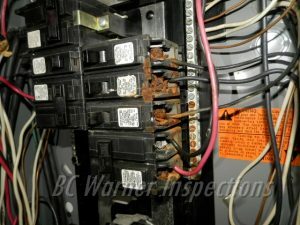 Call a qualified electrician to evaluate the problem. You should test the GFCI outlets as soon as you move in to a house, noting at the same time any protected outlets that may be present and which GFCI outlets control those protected outlets; typically the protected outlets should be labeled as such. Although they are proven life-saving devices, GFCI’s are known to fail on a regular basis and should be tested monthly to ensure that they are functioning properly. If GFCI outlets trip regularly, consult a qualified electrician immediately to determine why the tripping is occurring. Nuisance tripping of GFCI devices was common several years ago; however, nuisance tripping issues have been corrected on all current generation GFCI devices and the reliabilty of the devices has increased. Nuisance tripping no longer occurs even for sump pump circuits, hair dryers, and refrigeration circuits. If a GFCI device is tripping continually, a safety problem exists and a qualified electrical contractor should be consulted. I never had those in my house! Some of the currently required locations for GFCI’s may not have been required when your house was constructed, however, it is recommended that all outlets needing ground fault protection, as recognized by the newest national safety standards be upgraded. 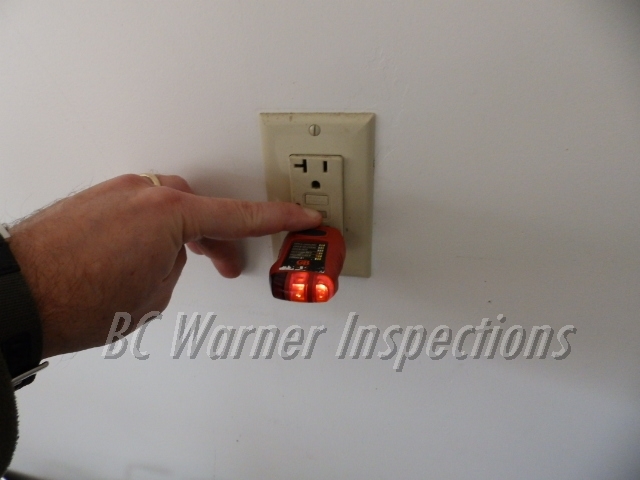 We also recommend that a licensed electrician complete this upgrade. 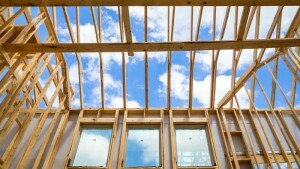 Safety standards and codes are set for a reason; they save lives! These safety codes are always being improved upon as knowledge increases and technology improves. The following dates indicate when nationally accepted minimum safety standards required GFCI protection. The local minimum safety standards may have adopted this protection at an earlier or later date. 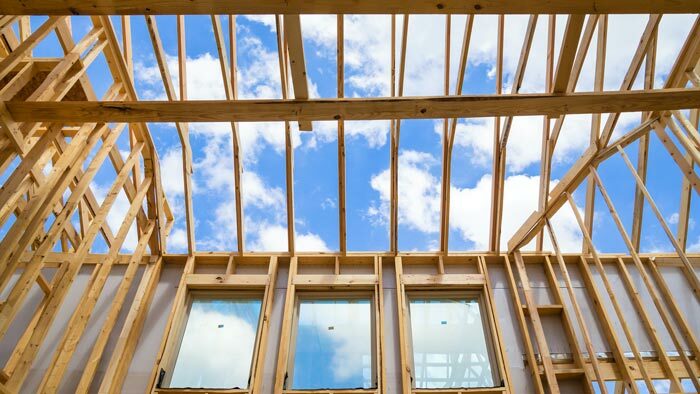 Exemptions and additions continue to change with each revision of the National Electric Code. This list should not be considered final or definitive. Flu or Carbon Monoxide Poising? The flu and carbon monoxide (CO) poisoning share many symptoms: headache, dizziness, nausea, weakness, confusion and fatigue. However, while CO poisoning does not come with a fever, the flu does. If you have flu symptoms, but no fever, remind your physician about the possibility of CO poisoning. The Consumer Product Safety Commission (CPSC) estimates that over 200 people a year die, while thousands more are treated for CO poisoning by hospital emergency rooms and private physicians. Other organizations place these estimates even higher. How can you prevent becoming an annual statistic from CO poisoning? 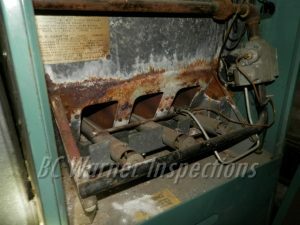 Have all gas burning appliances inspected and serviced annually by a professional technician. 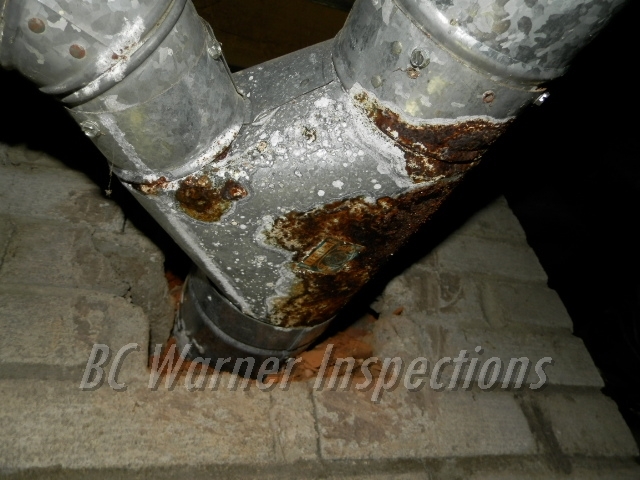 Have all chimneys and flues checked annually for loose connections, blockage, corrosion, etc. Also make sure you properly open the flue on any wood burning appliance or fireplace when using them. (To avoid fire danger, make sure you have the chimney flue inspected and cleaned, each year, by a chimney sweep certified by the Chimney Safety Institute of America (www.csia.org). Make sure your heating systems have an adequate intake of outside air. Never use appliances such as a clothes dryer, range, or oven to heat your home. Don’t leave cars running in garages, even with the door open. If you must preheat your car, back it out of the garage and close the garage door. Never, never burn charcoal in a confined space. 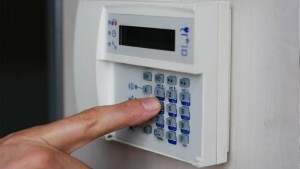 Finally, install CO detector/alarms in your home. These detector/alarms are similar in concept to the smoke alarms that are prevalent in today’s homes. There are two types of CO detector/alarms available: hardwired, (using household current); and battery powered. Hardwired sensors usually purge themselves and resample for CO at a preset period of time. Battery powered sensors usually react to prolonged exposure to CO.
And one in the garage. Consult the manufacturer’s installation instructions to ensure the right placement of the detector/alarm in each area. 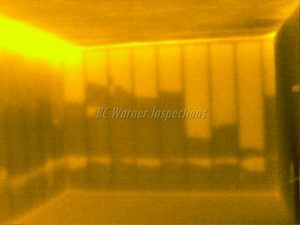 Replace existing detectors every 5 years as per industry standards. Manufacture dates are recorded on the back of every unit. If yours manufacture date label is not legible, missing, or the unit is older than 5 years, replace it NOW! Flu shots help protect against the flu. A CO detector/alarm helps protect against Carbon Monoxide poisoning. Save your health — Get both. For your reference, should recalls or safety concerns be announced (previously or in the future), we recommend you visit the CPSC web site http://www.cpsc.gov concerning equipment, products, and appliances in your home. The CPSC web site is very easy to use and has an on-line subscription service for notification of any recalls or safety concerns. There are many subscription choices, including subscribing to recalls involving only selected products, e.g., infant/child products, sports and recreation products, outdoor products, household products, and specialty products. There are literally thousands of recalls and safety concerns that have been released since the Consumer Product Safety Commission began operating in 1973, and they all are listed. Not all recalls and safety concerns make the headlines of your local newspaper. 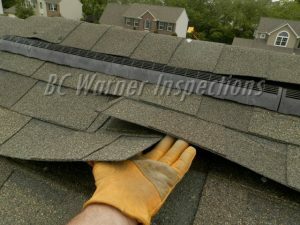 BC Warner Home Inspections recommends that you subscribe to all CPSC press releases, including recalls. This will alert you to all recalls and safety concerns in all categories. By Bill	| Nov 9, 2017	| Comments Off on Flu or Carbon Monoxide Poising? For your reference, should recalls or safety concerns be announced (previously or in the future), we recommend you visit the CPSC web site http://www.cpsc.gov concerning equipment, products, and appliances in your home. The CPSC web site is very easy to use and has an on-line subscription service for notification of any recalls or safety concerns….